EPCOT’S FLOWER AND GARDEN FESTIVAL GETS A SPONSOR | The Disney Driven Life. This year’s Epcot International Flower and Garden Festival is bringing something new to the table with a first time sponsorship with HGTV. Besides sponsoring the entire festival, HGTV is adding some pavilions, classes, and celebrities to the festivities! There will be a Festival Center where celebrities such as Patti Moreno, Brian Patrick, Kim Myles, and many more will give gardening tips to guests. Other additions include a larger Bambi’s Butterfly House and a twice-daily series called “Disney Gardening at Home,” where guests can create and learn about projects they can do at home. Of course, the festival still has some classic features like the Disney character topiaries. This year’s lineup includes Woody, Buzz Lightyear, and Lotso at the front-entrance garden and topiaries featuring Lightning McQueen and Mater from the Pixar movie “Cars 2” coming out in June. Up until this week, our coverage of Via Napoli at the Italy pavilion at Epcot only included descriptions and a rendering. But authors Pam and Gene changed that by taking us inside the new Walt Disney World restaurant – and it’s even better than I’d hoped. 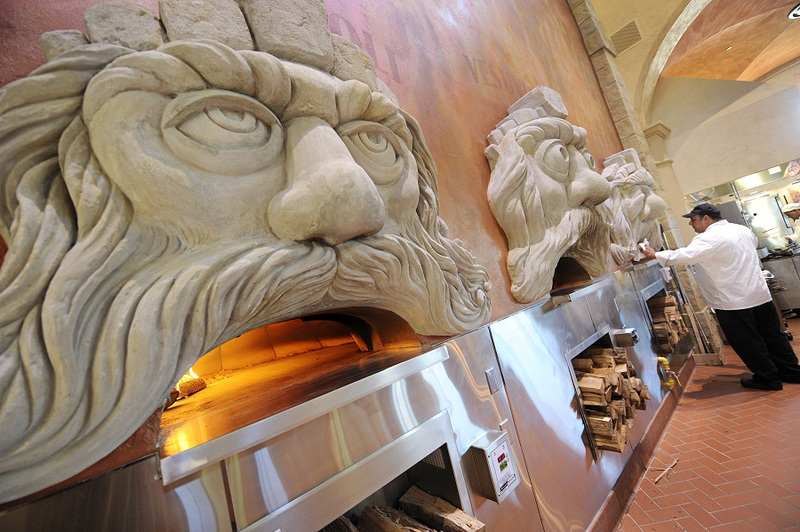 The three wood-burning pizza ovens that represent Italy’s active volcanoes (Etna, Vesuvius and Stromboli) also have a Disney touch. 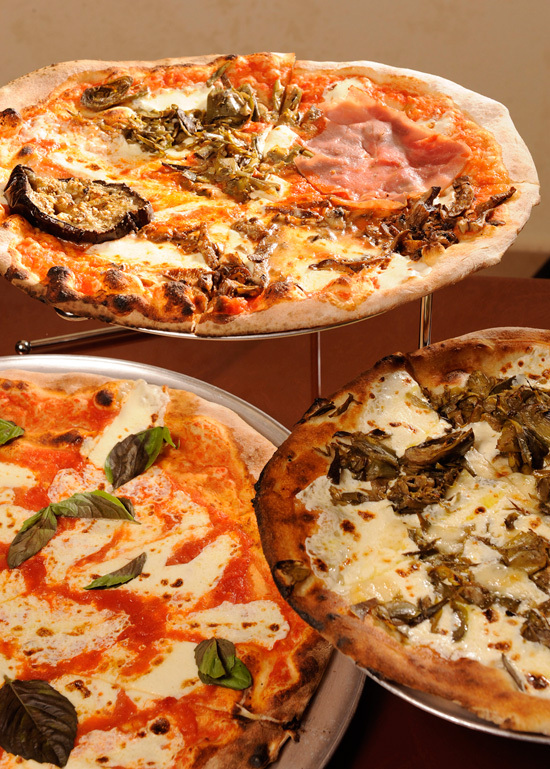 As for the pies, Via Napoli Executive Chef Charlie Restivo shared the secret combo: the oven, the mixer and the ingredients. The mozzarella is flown in from Italy, the water from a source in the U.S. that is similar to the alkaline of the water in Naples and San Marzano tomatoes. The official opening is September 10 and you can start making reservations today – (407-WDW-DINE). It’s that time of year when I look longingly as little kids abandon their shoes and run around getting soaked by the pop-up fountains at Epcot. For a whimsy-filled nanosecond I consider joining in the frolic. Ultimately, though, I leave “being a kid” … to kids: I can’t abandon my adult inhibitions! So what’s a person to do: It’s sunny, and “warm” was fifteen degrees ago? Well, one of my alternatives to acting like a kid by jumping into a fountain is a little spot in Innoventions at Epcot called Club Cool. It’s a place that sells Coca-Cola logo merchandise and “brain freeze” via frozen Coke. My favorites are Lift Apple and Smart Watermelon – which are usually in high demand and can run out on busy days. If I’d heard Club Cool was out of Beverly, though, THAT would surprise me (enough said about that!). When I was in Club Cool a couple of weeks ago, I overheard other guests lamenting that the “pours” (as they called them) were so large. They truly were going on a world tasting adventure and just wanted a sip. As for me: I was going back for seconds of those wonderful drinks from Mexico and China. So this post from the Disney Parks Blog got me to thinking…. What is your FAVORITE and LEAST FAVORITE beverage at Club Cool?? ?